Best memories of my childhood are associated with summers spent in our little summer house. We had a huge orchard that included apricots, plums, pears, peaches, several different kinds of apples, berries, sweet red and white cherries, in the middle of the property a long rectangular gazebo was entwined in grape vines, and towering above the gazebo grew a huge sour cherry tree. 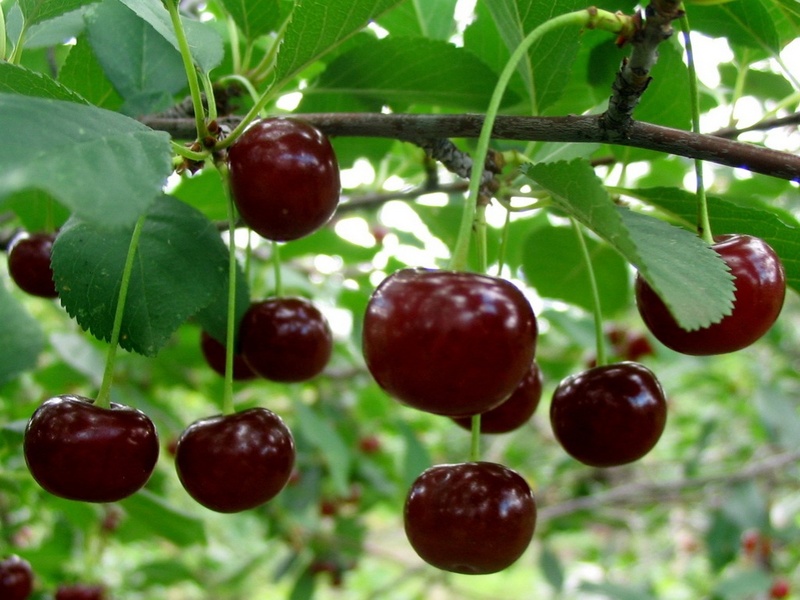 The cherries were ripened to big, dark red, sweet and only slightly tart berries, and I could be found with a couple of friends, sitting on on its sturdy branches gorging on juicy, ripe berries, covered head to toe in cherry juice. When the adults would catch us, they supplied us with pails, and we were transformed from smugglers to cherry pickers. The tree was enormous and very fruitful, there were enough cherries to supply our big extended family with fruit in jams, pies, wine and compotes for the whole year. 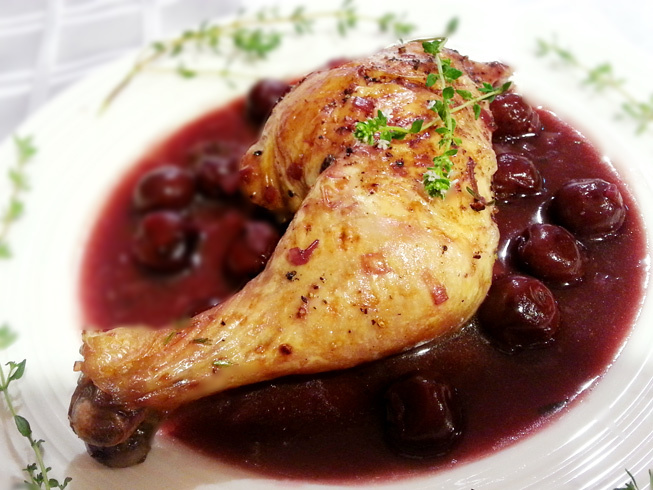 As a reward my aunt used to make us cherry dumplings or chicken in a cherry sauce, it was a seasonal treat, and a tasty one at that. 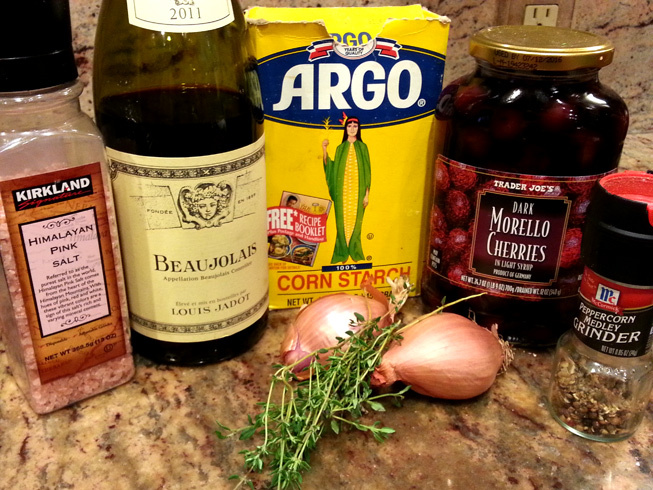 * Fresh tart cherries are not easy to come by where I live, and for my rendition of my aunts cherry sauce, I used canned tart cherries, reconstituted with water dry cherries will work here as well. Wash the chicken, trim excess fat. 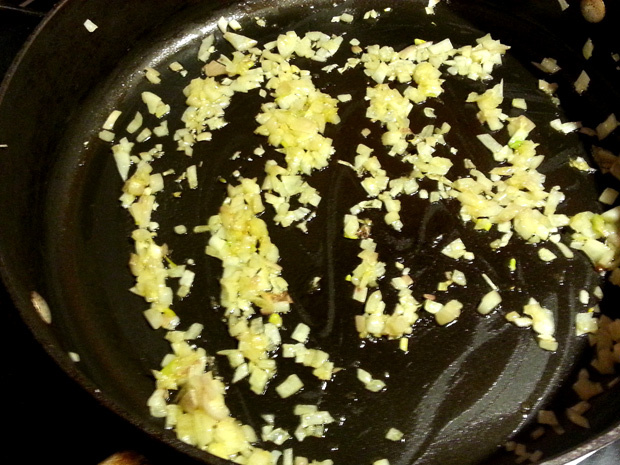 Brush with 1 tablespoon olive oil and season with salt and pepper. 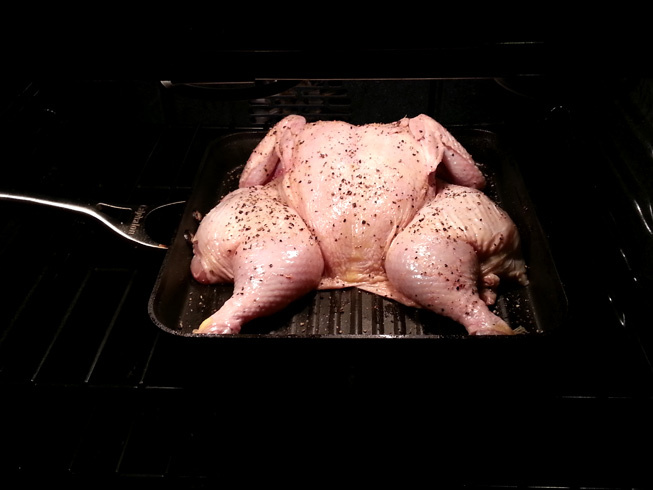 Place chicken in a roasting pan and cook in the oven for 50-60 minutes, basting occasionally, until the meat is cooked through. The juices should run clear. 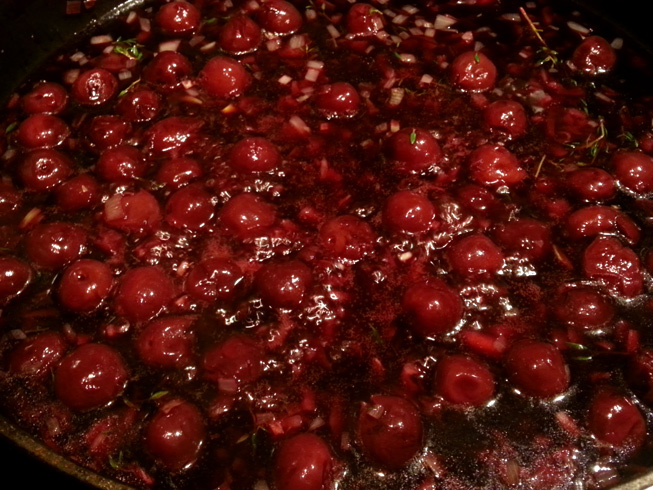 Add wine, cherry juice to the pan and simmer until the sauce is reduced by half, stir in corn starch and add cherries to the sauce. Cook until the sauce has thickened. 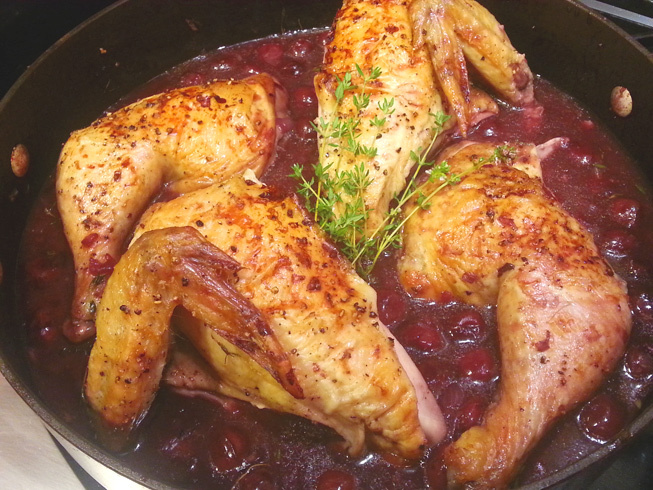 Serve the chicken hot, pour over the sauce and accompany with mashed potatoes.